The EFR Care for Children course is an innovative CPR, AED and First Aid training course that teaches participants how to provide emergency care for injured or ill children (ages one to eight) and infants less than one year old. Participants learn about the types of medical emergencies that children face, and how they differ from adult conditions. The curriculum also includes the importance of attending to basic emergency situations with children, the emotional aspects of caring for children, secondary care for children, and preventing common injuries and illnesses in children. 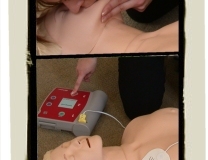 The course includes both primary care (CPR) and secondary care (first aid) skills. The primary care portion of the course prepares the rescuer to render aid to an infant or child with a life-threatening emergency such as choking or cardiac arrest. Secondary care focuses on developing secondary patient care skills and building the rescuer's confidence to render first aid to an infant or child in need when emergency medical services are either delayed or unavailable. The Care for Children course content is based on guidelines from the Pediatric Working Group of ILCOR . Fundraising for schools or clubs: Timuna Sea can help you raise funds for your cause by running group sessions at your location. All you have to do is help us promote the event. We do the work, participants learn valuable skills and you raise funds. 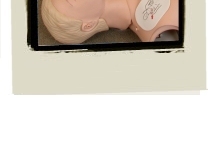 If you are a Child Care professional why not take the EFR Instructor course, and offer this course at your work place? You can then offer a convenient schedule, save on your own staff training costs and receive additional income from the Care for Children course. Emergency First Response (EFR) Care for Children 1st aid course, Canary Wharf, London. .
EFR Care for Children course with AED. 12 hour course suitable for Child Care Professionals.